After years of fantasizing, hoping and wishing, virtual reality is finally jumping from science fiction to the comfort of your home with the Sony PlayStation VR for the PlayStation 4. Designed with gamers in mind, PlayStation VR delivers an entirely new world of gaming with a level of immersion unseen on home consoles on some of the most highly anticipated titles of 2016, including Star Wars Battlefront and other games like PlayStation VR World, Golem and RIGS Mechanized Combat League. 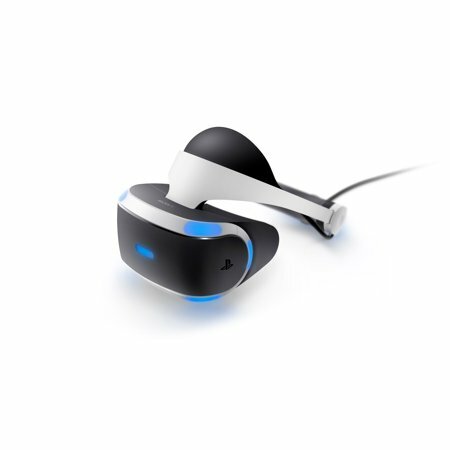 The LEDs around the PlayStation VR headset, on the DUALSHOCK 4 wireless controller and the PlayStation Move motion controller are tracked by the PlayStation Camera, providing an incredibly precise capture of your natural movement in virtual space. See the digital world through the beautiful 5.7-inch OLED 1080p headset screen at up to 120fps.